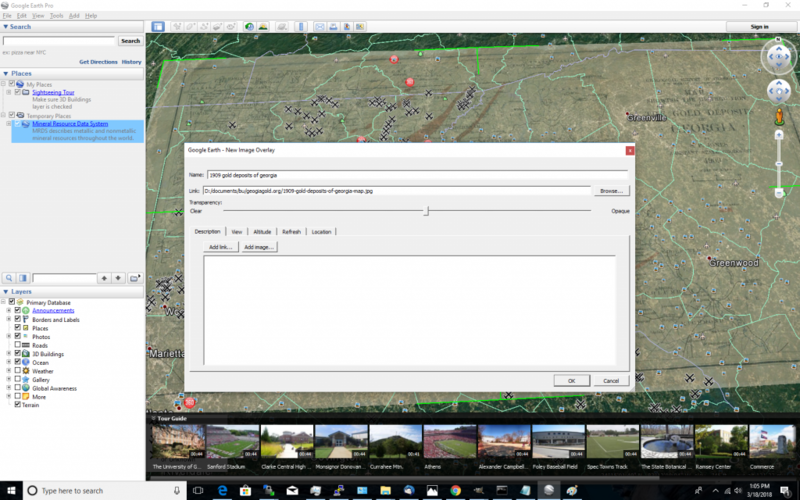 Once in google Earth, click Add –> Image Overlay. 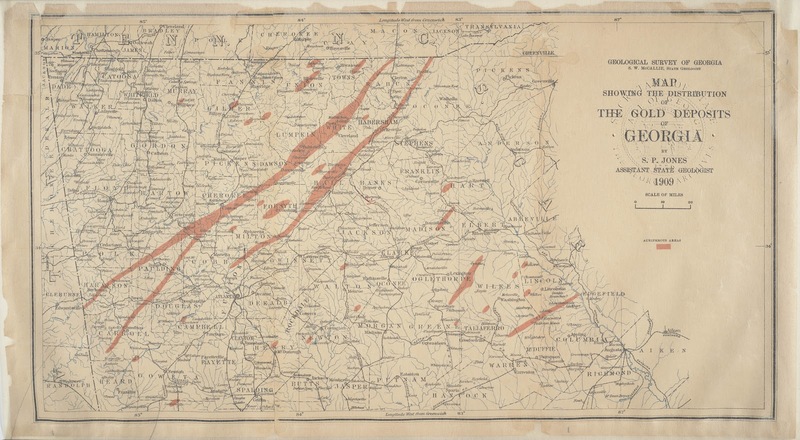 Type a name and browse to the location of the 1909 georgia gold map on your hard drive. I use about 60% transparency, so I can see what I’m doing in the next step. 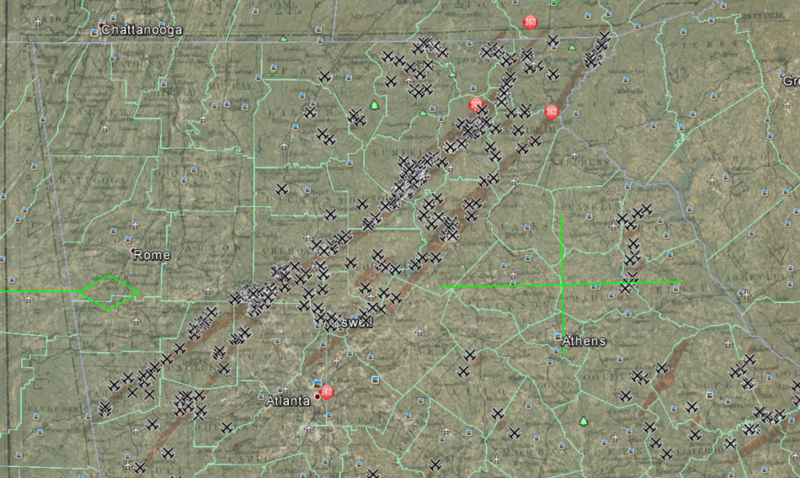 This is the hard part, you need to size the map to overlay on the state of georgia by moving the Edit Image Overlay box over to the side out of the way and then using the tools superimposed on the image to move, rotate and resize to fit. I start the process, by placing the map aligned with the upper left most portion of Georgia. I then rotate and tug to get the size close. I then zoom in on the county I’m most interested in finding gold and adjusting as needed. 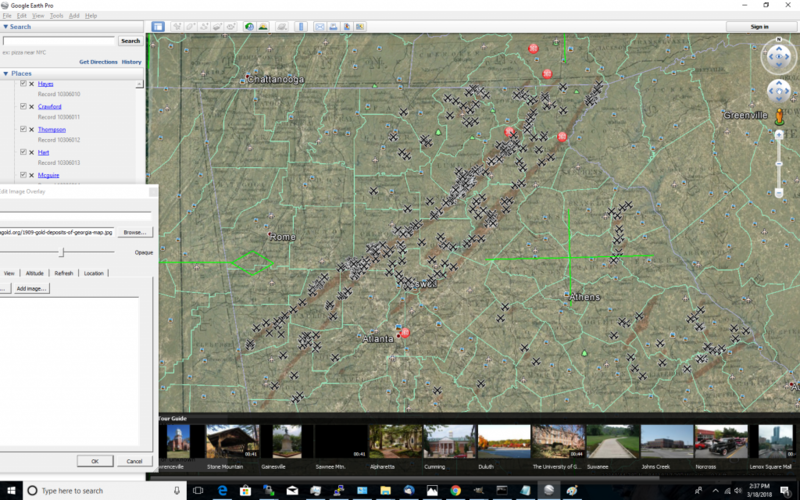 It’s not perfect, but you can move and scale the 1909 map for each county and as you can see the 1909 gold deposits map matches pretty close with the locations of the gold mines in Georgia! I hope you find this information useful! Have fun prospecting and please leave us your comments.